Tank 37 and driver, John Phelan, at the front of the tank were on loan to Sgt. Jenkins (A-15) and his crew as they sit in the city center of Trang Bang, South Vietnam. 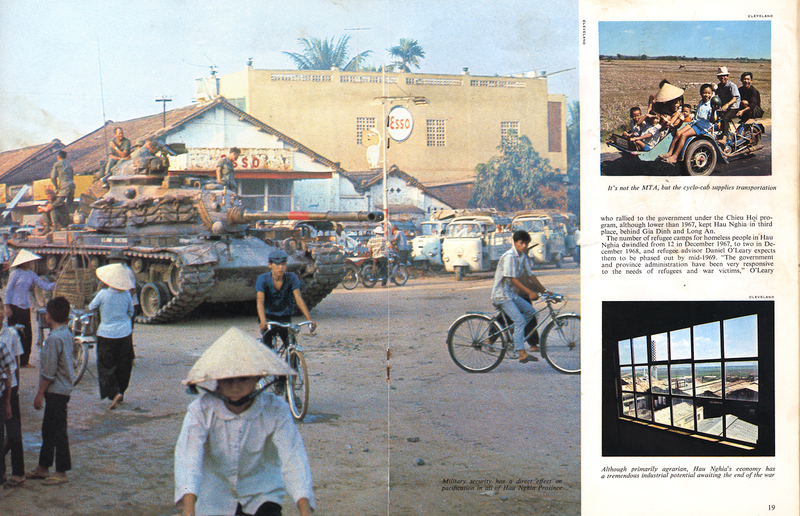 This picture and story, "Hau Nghia Revisited" written by Spec. 5 Arnold Braeske, and photographed by Jerry Cleveland ran in the April 1969 issue of "The Hurricane", a publication of II Field Force Vietnam. I had the pleasure of finding both Braeske and Cleveland on the internet and in turn speaking with both of these veterans on Memorial Day, May 28th, 2012! Thank you both for your service and Welcome Home!